The Dummy Gateway allows you to make test purchases of your products without making an actual transaction through a payment gateway. This allows you to simulate successful and failed credit card transactions. You can test the functionality of the order form, product delivery sequences, declined card sequences, etc. Go to Sales in the Navigation menu and select Settings and then Gateways. Click the New Gateway button. Select Dummy Gateway under Select a Gateway Type. Name your dummy gateway for your internal use. The gateway name is not shown to your customers. After you’ve created a product, an order form, and a dummy gateway, you’re able to add a dummy gateway to an order form and make test purchases. 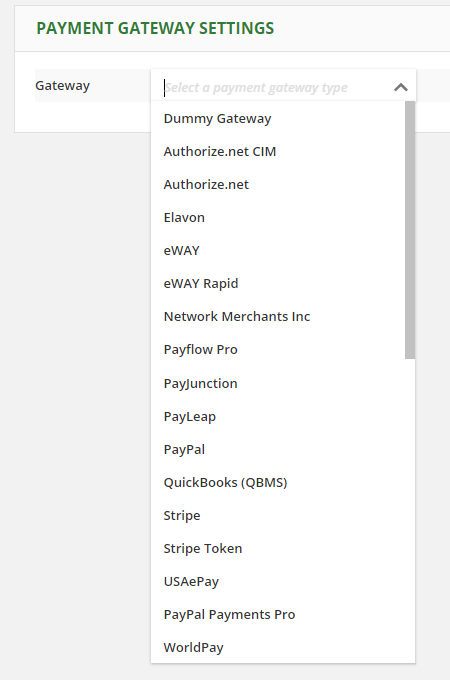 Create or edit an order form and change the payment gateway to the new dummy gateway. To make a test purchase using your dummy gateway, host your order form. Fill out your order form with the credit card number 4111 1111 1111 1111 (that’s a 4 with fifteen 1s after it). Then, enter any value for the expiration date and ccv number and submit the form. When the form submits all automation for a "successful transaction" should fire, including Campaigns, Contact Record updates, etc. Why do you have "Test Mode" on the other accounts if you have to make a dummy account?